Gold base for party eyes: When I finished this look, I absolutely had to show you all! It’s just the perfect eye make-up look for any occasion – be it a wedding, a party or a prom. I’ve used a shimmery white and pale golden shadow across the entire eyelid then shaded ever so slightly darker with gold at the outer edges and blending gently into the sockets. It almost looks like I’ve just used one colour. Precision liner: Then I’ve applied a thick line of precision liner along the top lash line and smudged kohl along the lower lash line, leaving the inside of the lash line free to widen the eyes even further. And left the inside corner of the eyes completely free. A coat of mascara to the lower lashes and some extra thick lashes along the top and you get this amazing look. I’ve kept the complexion soft and flawless with light peachy pink blush and pink lips. Opt for a moisturising base with SPF that brightens up your complexion and doesn’t clog up pores or draw attention to fine creases around your mouth and eyes. Coming into Spring and Summer, there are some amazing BB and CC creams around that do just the trick and nourish your skin at the same time, for example Bare Minerals Complexion Rescue or you could opt for a light covering or Airbase airbrushing foundation. Once you’ve applied your light base and let it set, take a light creamy cover-up (I love erase paste from Benefit for a creamy texture that goes a long way) and apply it sparingly to any shadows or blemishes still visible through your base. A concealer with light reflective pigments is really forgiving for any under-eye shadows too. A light shadow on your lids, a neutral beige or a subtle gold is perfect for daytime glamour, then line your upper lashes with a dark precision liner and gently extend the colour along the lower lash line using a brush to give some subtle definition without heavy lines. Apply mascara to lengthen the lashes and widen your eyes. Next, add just a dab of blusher or cream rouge on the apples of your cheeks. A creamy rouge blends really easily with your base and gives a youthful dewy finish for your complexion. Choose a light apricot tone or a dusky rose to get a flushed, walk-in-the-fresh-air look. A spot of highlighter blended on your cheek bones, the inside corner of your eyes and just under your brows will lift the whole look. Finish off with a creamy lipstick in a neutral shade that enhances your natural lip colour, or go for bold with a seasonal red, pink or coral that brightens the complexion and shows that true confidence comes with age – knowing what suits you and having the courage to wear it! 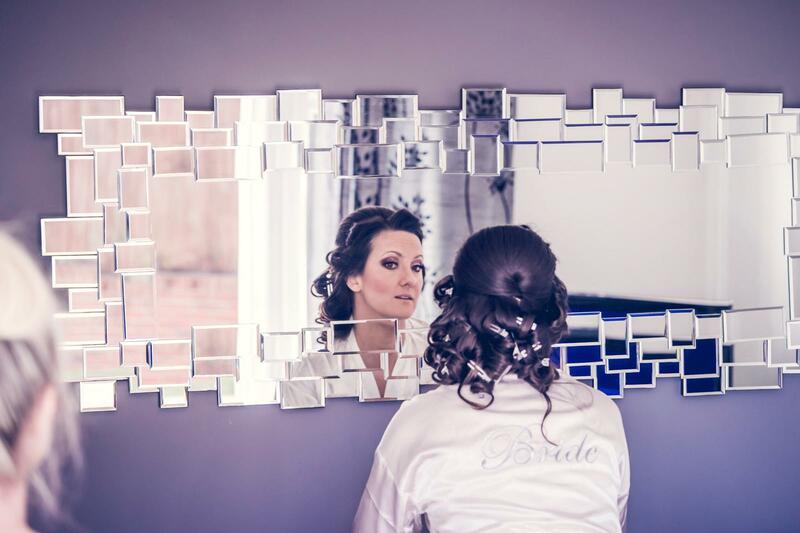 Brides… Weddings…. Make-up…. oh no kissing…. champagne… laughter… tears of joy… HOW CAN I STOP MY MAKE-UP FROM SMUDGING? This is a beautiful summer bride of mine from Summer 2017, and her stunning and vibrant images taken by Tony Gameiro award-winning Kent photography, reminded me just how much brides cry and laugh on the most magical, often emotional day of their entire life. Have tissues just in case… if you are a traditional bride – tuck it up in your garter. Remember to dab the tears preferably in a mirror as opposed to wiping or smearing across your face. If properly applied, make-up should have staying power – opt for waterproof mascara just in case. When it comes to lipstick… apply liner and primer, plus you can always spritz a fixing spray all over your face to set and finish your look giving it more staying power for those tears of joy and that nervous laughter. You can make it easy and even comment on this post… make the comments relevant and honest please, and I look forward to choosing a winner and sending this amazing mascara to them in the new year. Dreaming about the #perfect mascara? If the answer is a massive YES! and you want massive, amazing lashes… then pop into Pinkies, or contact the team for your Dreamweave Mascara.